S is for save me a spot under the cabana sis. If there’s one thing we look forward to each season, it’s Customs House’s newest pop-up bar reveal. 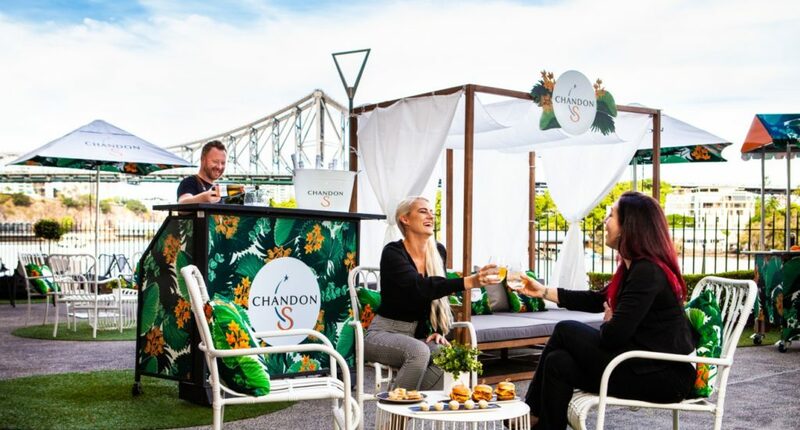 In the past, we’ve seen the likes of igloos and greenhouses elevate the riverside courtyard of the heritage listed building to a seasonal escape (complete with ginormous matching cocktails), and now Chandon S is taking to the stage with balmy cabanas swathed in white and greenery. Launching on Saturday, February 9, the Chandon S Sunset Cabana pop-up will let you prolong summer with strong Mediterranean beach club vibes, and even stronger Chandon Blanc de Blanc Bellinis. Besides an extensive curated cocktail list, cheeky summer snacks will leave you laughin’ (because when did being an adult become so enjoyable?). You’ll find us lounging around with prawn bruschetta, mini steamed duck buns and Korean fried chicken sliders, and lapping up every sip on the list. Going two better, some extra treats are lined up to be the cherries on top of a breezy day on the water. From February 10, your new fave bottomless brunch will be spread out in Customs Houses’s signature restaurant, Patina. 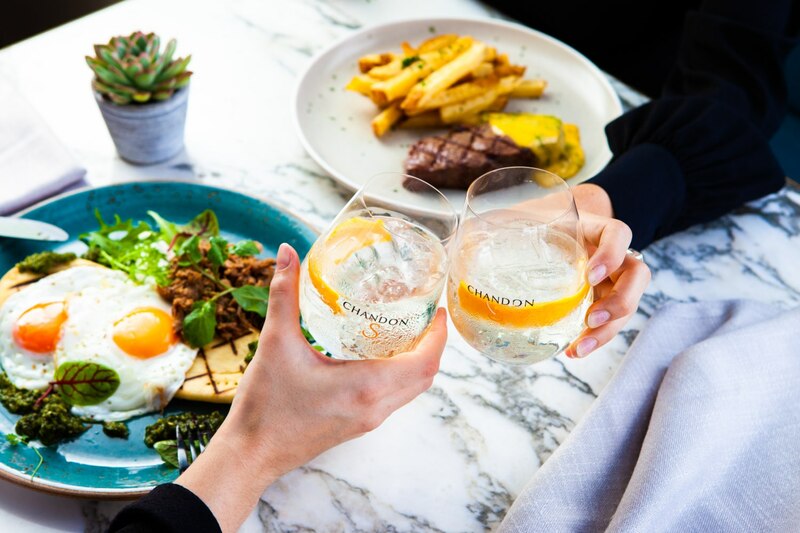 Dubbed S is for Sundays, the boozy brunch will tend to your bougie side with a four-course menu and free-flowing Chandon S, Chandon Sparkling Brut Rosé, Chandon Blanc de Blanc Bellinis, and Belvedere Bloody Marys. 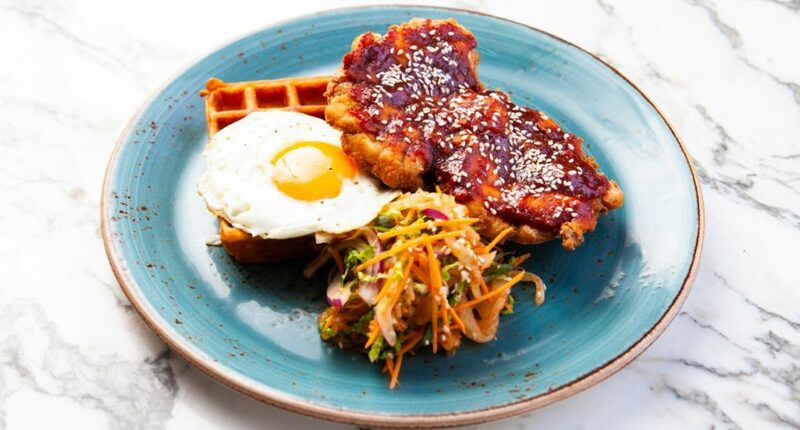 A measly $50 will let you roll out of bed and straight into a brunch of spanner crab omelette, pumpkin waffle with Korean fried chicken and kimchi, and buttermilk pancakes with brûléed banana, being just a handful of what to expect. If you’re feelin’ thirsty but the exisiting brunch menu really tickles your organic pickle, Customs House is offering a bottomless drinks package to be purchased alongside whatever your mid-morning soul is craving. So there you have it, Chandon S and Customs House are really giving Sesame Street a run for their money with a sterling ‘letter of the day’ performance. To book in brunch or to find out more, click here. Good choice.